No, not an eruption of Mount Eden — that happened thousands of years ago. Just a huge cloud towering above the hill (elevation about 190 metres). 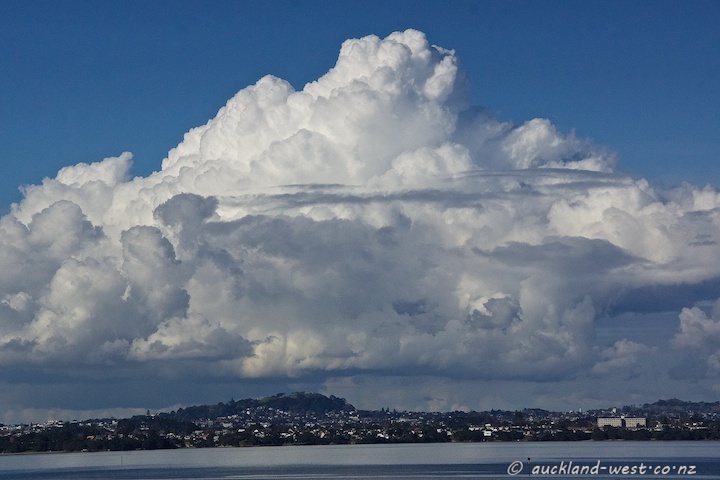 Seen from Te Atatu Peninsula. The conspicuous building on the right is part of Selwyn Village, Point Chevalier.